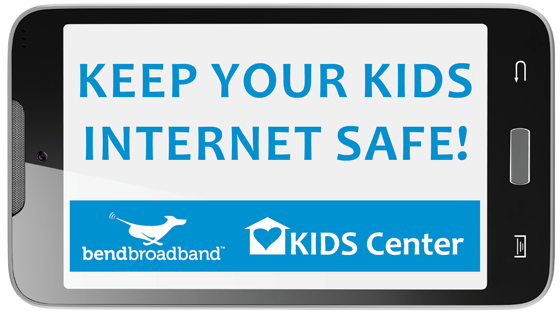 BendBroadband and the KIDS Center are partnering to bring an award-winning Internet safety program, “Public and Permanent,” to Central Oregon. The program is coming to Bend on April 29 and to Prineville on April 30. Technology permeates our lives. Although we’ve grown increasingly comfortable with computers and mobile devices, we can’t escape the fact that online social networks, email and other forms of electronic communication give criminals a wealth of opportunities. Bullying has become “cyberbullying,” petty theft has found a new outlet and created cadres of cybercriminals, and the backroom exploitation of minors has turned high-tech. Millions of American teenagers have been targeted by cyberbullies. According to the i-SAFE Foundation, 42 percent of American students have been bullied while online, and 53 percent admit having said something mean or hurtful to another person online. More than half of them don’t tell their parents they have been victims of cyberbullying. BendBroadband, in partnership with Kids Intervention and Diagnostic Service (KIDS) Center, is bringing to Central Oregon an award-winning safety program, “Public and Permanent: Preventing Sexting, Cyber Bullying and Beyond.” The program raises awareness of negative, irresponsible and malicious digital behavior. It shows participants how to reduce their risk of becoming victims of cybercrime, cyberbullying and digital exploitation. Kim Bohme, prevention coordinator at KIDS Center, urges parents to help their children learn to protect themselves online. “It is important for parents to understand Internet safety risks and to talk to their children about dangers that exist online and establish appropriate online behaviors for their children,” Bohme says. The program will be led by Richard Guerry, executive director of the Institute for Responsible Online and Cell-Phone Communication and author of books on computer safety and citizenship. Guerry will show participants how to protect themselves from sexting, cyberbullying, irresponsible use of apps, poor social media behaviors, and sexual exploitation. The Bend event will run from 6 to 8 p.m. at the Bend High School Auditorium, 230 NE Sixth Street. The cost is $5 for adults. Children are free. Proceeds will benefit the KIDS Center. The Prineville event will be held the next day from 6-8 p.m. at the Crook County COCC Open Campus, 510 SE Lynn Blvd. The Prineville event is free for adults and their children, thanks to BendBroadband and For the Children. Donations of nonperishable food items will be collected for Crook County’s Food For Kids program. The training is appropriate for children in middle school and above. All children must be accompanied by adults. Click here to register for either event.